Are West Bengal Private Hospitals refusing to Admit Emergency Patients? 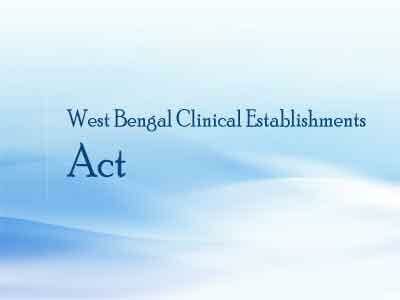 Kolkata: With the introduction of West Bengal Clinical Establishment Act, reports seem to be flowing in that the private hospitals in the state are fearing to accept emergency cases, fearing that a patient’s death might lead to them facing the wrath of the government. This in turn as caused tremendous burden on states government hospitals, most of which are already overburdened with queues of patients. Millenium Post reveals, since the enactment of ACT, that SSKM Hospital, the only super-specialty hospital government hospital in Bengal has been overloaded with critical care patients who are being transferred by the private hospitals in recent days citing various reasons. The inflow of critical patients has gone up as high as 30%. As per the past few months data, the other state run medical colleges including the Calcutta Medical College and Hospital and the NRS Medical College and Hospital have also registered a sharp rise in the number of critical patients. Medical Dialogues team had earlier reported that Unsatisfied with the West Bengal Clinical Establishment Act, thousand of doctors walked in protest demanding a revocation of anti-doctor and anti-people clauses in the said bill. 5 comment(s) on Are West Bengal Private Hospitals refusing to Admit Emergency Patients? Why sud private hospitals be forced 2 take d burden of Govt establishments 4 nothing? De facto, private hospitals dont get even industry status and financial assistance for loans. They r heavily charged and criminalised by West Bengal Govt. I\’m a victim of West Bengal govt and had 2 close my hospital 4 no fault of mine. Mamata must stop diverting d minds of West Bengal ppl from her own scandals and sins of appeasement politics. Shameful acts of political institutions in West Bengal. Mamata has only worsened it. It is the inhuman behavior of Kolkata private hospitals who are responsible for all these unfortunate happenings–for patients, doctors and poor patients. Why most of the people from W Bengal are going to Vellore for treatment? The private hospitals and Government should investigate it. Y sud private hospitals involve in governmental responsibility? kalkata used to be excellent in medical practice.but with sUCH law kalkata will go down. With a tendency to lock up people at the drop of a hat, this is but inevitable. See of all the metros in India healthcare is worst in Kolkata.